Cape Adare is the north-easternmost peninsula in Victoria Land, East Antarctica. Marking the north end of Borchgrevink Coast and the west end of Pennell Coast, the cape separates the Ross Sea to the east from the Southern Ocean to the west, and is backed by the high Admiralty Mountains. Cape Adare was an important landing site and base camp during early Antarctic exploration. Off the coast to the northeast are the Adare Seamounts and the Adare Trough. Captain James Ross discovered Cape Adare in January 1841 and named it after his friend the Viscount Adare (the title is derived from Adare, Ireland). In January 1895, Norwegian explorers Henrik Bull and Carsten Borchgrevink from the ship Antarctic landed at Cape Adare as the first documented landing on Antarctica, collecting geological specimens. Borchgrevink returned to the cape leading his own expedition in 1899 and erected two huts, the first human structures built in Antarctica. The expedition members overwintered and the survivors were picked up in January 1900. This was the first expedition party ever to winter over on the Antarctic continent. Zoologist Nicolai Hanson died during the winter and was buried at Cape Adare. The closest research station in modern times was Hallett Station, the joint New Zealand/United States station at Cape Hallett, 63 miles (101 km) to the south. This base was in use from 1957 to 1973. The Australian Bicentennial Antarctic Expedition set out from Cape Adare for their successful assault on Mount Minto in 1988. The expedition's support vessel was moored to the ice shelf in the bay and maintained radio contact with the climbers during their ascent. In February 2007, the Japanese whaling ship Nisshin Maru experienced a fire below decks while in the Ross Sea. The vessel drifted without power for days until its engines were repaired, raising concern[according to whom?] due to its proximity to Cape Adare. The first buildings erected by Carsten Borchgrevink at Cape Adare were prefabricated of pine by the Norwegian factory Strømmen Trævarefabrikk. These huts are still standing, and the site is recognized internationally as a significant historic site. Members of the Northern Party of Scott's Terra Nova Expedition over-wintered at Cape Adare in 1911 and 1912. They erected one hut, which has fallen into ruin today. As a result of initiatives by the Antarctic Heritage Trust the site (with the buildings) is registered in the Antarctic Treaty System as an Antarctic Specially Protected Area (ASPA 159) the highest level of protection available under the terms of the Treaty. The remains of two Borchgrevink’s Hut, as well as those of the Terra Nova Expedition’s hut, have also been designated a Historic Site or Monument (HSM 22), following a proposal by New Zealand and the United Kingdom to the Antarctic Treaty Consultative Meeting. The grave of Nicolai Hanson has been similarly but separately designated (HSM 23). Studies suggests that Cape Adare was covered in ice during the Last glacial period, and deglaciated around 16.2 thousand years ago. And the results suggest that it took several thousand years until penguin colonies formed, after ice free surfaces became available. 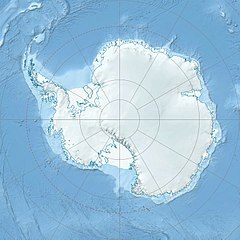 Submarine shoals on the narrow continental shelf to the east of Cape Adare are the site of unusually frequent submarine collisions with large current-mobilized icebergs transiting northward out of the Ross Sea. Notably, this process led to the sudden breakup of Iceberg B15 in October 2007, as well as a number of other large icebergs. These collisions are energetic enough to be recorded by seismographs in Antarctica and the southern Pacific Ocean region . Cape Adare is the site of the largest Adélie penguin rookery in the world. The only study of this particular colony was done by George Murray Levick, who was a member of the 1910–13 Scott Antarctic Expedition and observed it for an entire breeding cycle in 1911 and 1912. He was reluctant to publish it due to the unusual mating habits of penguins that he recorded, among them homosexuality, sexual and physical abuse of chicks, and mating with dead female penguins, nowadays ascribed to the lack of experience of young penguins. He described it as "depraved". The report was considered too shocking for public release at the time, and was suppressed. The only copies that were made available privately to researchers were translated into Greek, to prevent this knowledge becoming more widely known. After it became lost, it was rediscovered and published in the journal Polar Record only in 2012. The discovery significantly illuminates the behaviour of the species that some researchers believe to be an indicator of climate change. We all watched the life of the penguins with the utmost interest, and I believe and hope that some of us learnt something from their habits and characteristics. ^ "Cape Adare, Borchgrevink Coast" (PDF). Management Plan for Antarctic Specially Protected Area No. 159: Measure 2, Annex L. Antarctic Treaty Secretariat. 2005. Retrieved 2013-02-06. ^ "List of Historic Sites and Monuments approved by the ATCM (2012)" (PDF). Antarctic Treaty Secretariat. 2012. Retrieved 2013-10-27. ^ "The last deglaciation of Cape Adare, northern Victoria Land, Antarctica". British Antarctic Survey. 2008. ^ a b "Shock at sexually 'depraved' penguins led to 100-year censorship". The Week. 10 June 2012. ^ a b c McKie, Robin (9 June 2012). "'Sexual depravity' of penguins that Antarctic scientist dared not reveal". Guardian.co.uk. ^ Ainley, David G. (2002). THE ADÉLIE PENGUIN: BELLWETHER OF CLIMATE CHANGE. Columbia University Press. pp. 310 pp. with 23 illustrations, 51 figures, 48 tables, 16 plates. ISBN 0-231-12306-X. ^ Carsten Borchgrevink (1901). First on the Antarctic continent: Being an account of the British Antarctic expedition, 1898-1900. p. 210. Wikimedia Commons has media related to Cape Adare.